Chikkamagaluru: There was a time when people love to talk about Hindu-Muslim unity but nowadays, hate has made it’s presence and it has started killing innocent human beings. 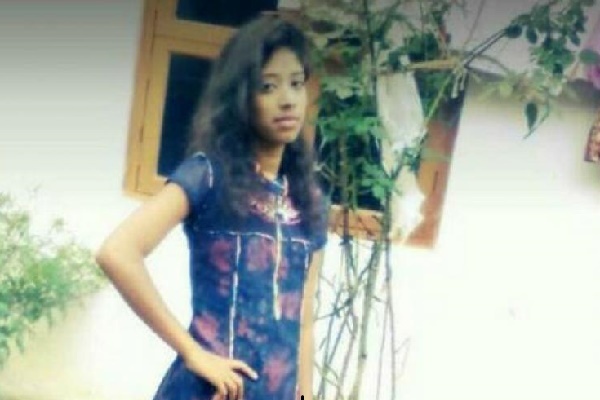 A young 20 year old girl has committed suicide after threats by right wing goons. She hanged herself because of a hateful social media campaign against her on having Muslim friends. Dhanyashree told her friend Santosh in a whats-app chat message that she loves Muslim. Dhanyashree, a B.Com. student replied to one of the messages by Santosh, “I love Muslims” which hasn’t gone well with a man with hate inside his mind. This was infuriating for hate-minded individual who forwarded the screenshot of the message to local Vishva Hindu Parishad and Bajrang Dal members. The message had become viral and a local BJP Yuva Morcha President Anil Raj with his four friends went to Dhanyashree’s house and threatened the family. Next day, Dhanyashree ended her life because of the trauma that she and her family faced. Chikkamagaluru Superintendent of Police K. Annamalai said that five people had been to her home on Saturday evening and picked up an argument with the family. He said that the group alleged about the girl was roaming with a Muslim boy and it was a case of Love Jihad. “Upset over the development, she committed suicide”, He added. Police have arrested Anil Raj but the main accused Santosh along-with three others are absconding.